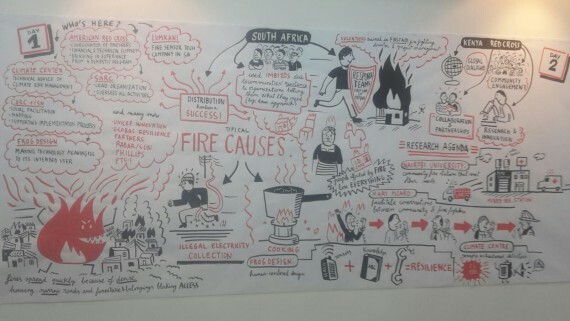 How to sustain and scale up fire sensor technologies in Kenya and South Africa? A multi-stakeholder discussion kicked off in early January in Nairobi, Kenya to deliberate on the lessons learnt from the fire sensor installation pilot project. 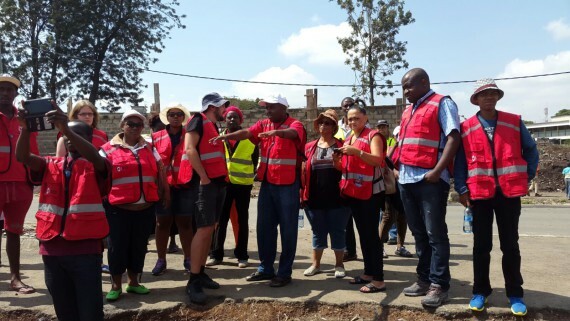 In July 2015, The American Red Cross initiated a fire sensor technology pilot in Mukuru, Kenya and Khayelitsha, South Africa. About 2000 fire sensors were installed in both informal settlements. 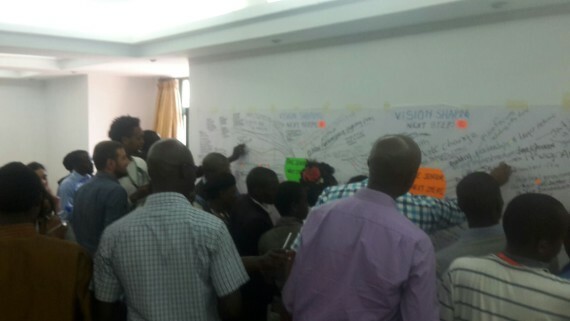 The discussion dwelled on the lessons learnt during the implementation of the project. It also explored options and possibilities of scaling up the project to other vulnerable communities throughout the world. How can the early warning sensor best address urban fires? 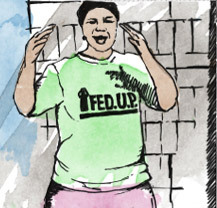 Urban fires are amongst the highest occurring disasters affecting urban poor communities. The project intended at strengthening and equipping the communities to best respond to the fires. Community engagement, learning, education and empowerment were seen as the underlying principle for an effective fire sensor. Community feedback (more specially vulnerable groups) on the design and technology formed the conversation around community ownership and perception of the sensor. All in all, an early warning fire sensor alone is not a definitive solution but building community capacity such as community based fire fighters and stations (a small community station is proposed for Mukuru settlement) – is truly building community resilience in fire response mechanisms. The sustainability of the project is thus far dependent on the community contributing towards the purchase of the device taking responsibility in maintenance when necessary. However, in the long run the project aim is for the community to be involved in the formation of governance structures to eliminate any risks of fires and independently sustaining the community based firefighters and/or stations. Moreover, the project aims at linking the fire sensor distribution to address unemployment. Are there possibilities of scaling up the fire sensor project? Scaling up the project would positively impact more people and address fire vulnerabilities at a global scale. However, context, urban mobility and sustainability are to be significantly considered. A fire sensor well suited to the context is important i.e. building material, sources of fires (wild or household fires) and local capital. For example, when comparing the two fire sensor models, one device had an added element of a smoke detector, which also slightly increased the cost of the device. 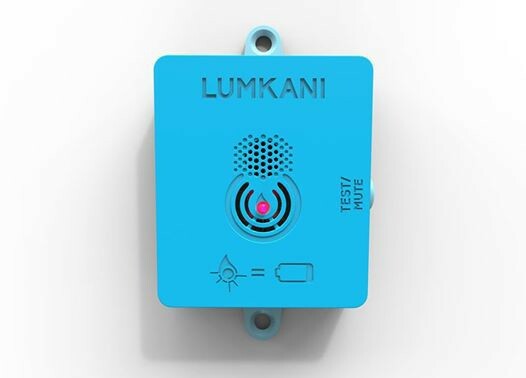 Yet the Lumkani device, used in South Africa, focused on measuring the rate of rising temperatures in small structures is best used in this context, e.g. zinc structures or small tents such as in refugee camps. Most urban populations are constantly in transit and in search for better economic opportunities. The residents in Mukuru are mostly tenants while in Khayelitsha they are ‘owners’ of the shacks. 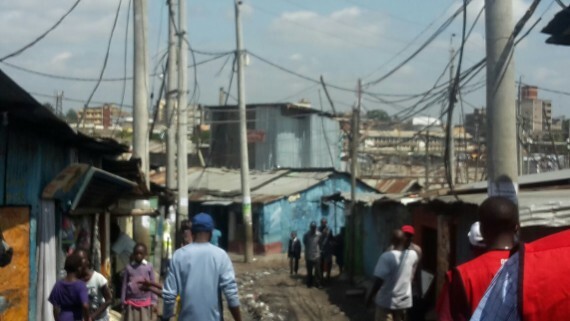 Due to flood threats, soon after the installation of the devices some of the tenants in Mukuru had already relocated to other parts of the city taking the device along. The relocation posed a difficulty in engaging the community around coordinated response mechanisms. In South Africa, a community response to fires is dependent on networked devices giving an alert. Shacks with no devices pose a threat to the rest of the community should the fire start in them. 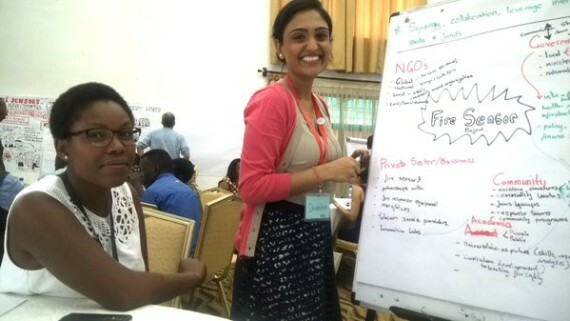 When discussing long-term effectiveness of the sensor project for the wider vulnerable communities three words arise: scaling-up, sustainability and transferability. What role do donors play in the funding process? Upscaling the project requires multilateral partnerships and synergies with other projects to pool resources together. This calls for global advocacy to governments, especially to focus on fire prevention mechanisms instead of a responsive reaction to fire. This means building partnerships for infrastructure investment in the communities. Opening up access routes, disaster resistant material and water points should be a priority. In some instances the community and/ or fire services respond to fires before they create a lot of damage. However, in other instances this is not the case due to lack of access routes and dangerously hanging electrical wires which restrict fire engines who are unable to respond effectively. From project to program: what still needs to be done? There is still a need for data collection as a strategic tool to provide mechanisms for generating basic data on fire hazards, vulnerabilities and losses. Even though the fire department collects data on every fire occurrence the data is still not used to influence investment in fire prevention, preparedness and mitigation infrastructure. The hope to increase awareness at both community and institutional levels through data collection tools, improves risk identification and the use of knowledge, innovation & education to build a culture of safety. User friendly data can be used to target certain age groups so as to make fire awareness attractive and also strengthen disaster preparedness for effective response. This will enable the move from risk management through emergency relief and response towards a partner based early warning risk management. 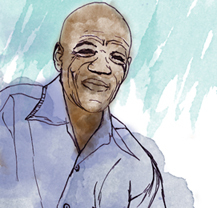 After each fire disaster in Khayelitsha, disaster management organizations respond with relief material that the community uses immediately to start rebuilding. This project aims to showcase that this approach needs to end and instead encourages the approach of preparing communities to better deal with urban fires.